Rain or shine, Friday Nights @ OMCA is on! Due to the weather forecast, the Youth Showcase with Tatu Vision has been postponed, but we've still got Off the Grid food trucks, DJs from The DJ Project and live music from the Delta and Beyond with Pete Madsen, plus move events in the Hip-Hop Dojo inside RESPECT. See all updates in the listing below. The Summer Season of Friday Nights @ OMCA means the gardens are open for picnics, live music outside is back, gallery hours are open until 10 pm, and the Off the Grid food truck market expands onto Oak Street. 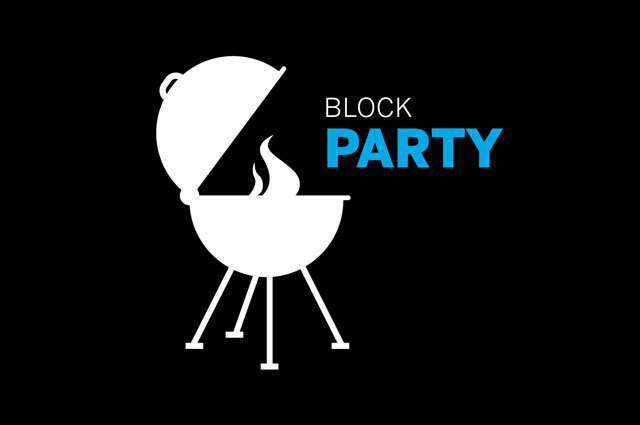 Come celebrate the summer with our Friday Nights @ OMCA Block Party, taking place every first and third Fridays of the month now through July and on August 10. Get down to new themes each month featuring performances and activities in celebration of our special exhibition RESPECT: Hip-Hop Style & Wisdom, on view through August 12. Tonight, check out a special youth showcase. New! RESPECT: Hip-Hop Style & Wisdom on Level 2. Members of The DJ Project spinning hits. Live music by the Delta and Beyond with Pete Madsen. This event is now at capacity. As part of the 2018 Women in Music Festival, this special ticketed event includes access to RESPECT: Hip-Hop Style & Wisdom and WIM’s first-ever panel discussion on women in Hip-Hop. Tickets are $20 (including admission) and are available for purchase through the Women in Music Festival website. Youth Dance Showcase with Mini Mix'd. This event has been postponed. Don’t miss a showcase of live performances from the emerging voices of the Bay Area’s next generation of Hip-Hop, featuring talented local teens and young adults, produced in collaboration with TATU Vision. Join a special conversation and interactive chess event inside the exhibition RESPECT: Hip-Hop Style & Wisdom, featuring Rochelle Ballantyne and Jennifer Shahade with Adisa Banjoko, Hip-Hop Chess Federation founder and writer of Bobby, Bruce & the Bronx. A rising star, Stanford graduate Ballantyne is the Black female closest to achieving chess title of “Master.” She was featured in the 2012 documentary Brooklyn Castle. Shahade is a two-time US Women’s Chess Champion, author of Play Like a Girl and Chess B*tch, poker professional, and editor of uschess.org. After the talk, test your chess skills against Ballantyne and Shahade as they take on all comers in free play. Included with special exhibition Museum admission. This event has been postponed. Join a community mural demonstration and workshop with Forrealism artist Joaquin Alejandro Newman and youth artists from the REACH Ashland Youth Center, a program of the County of Alameda. 10th Street, rain or shine!